March is the month that gardens begin to wake from their winter reverie and owners start opening their gates to the public again. 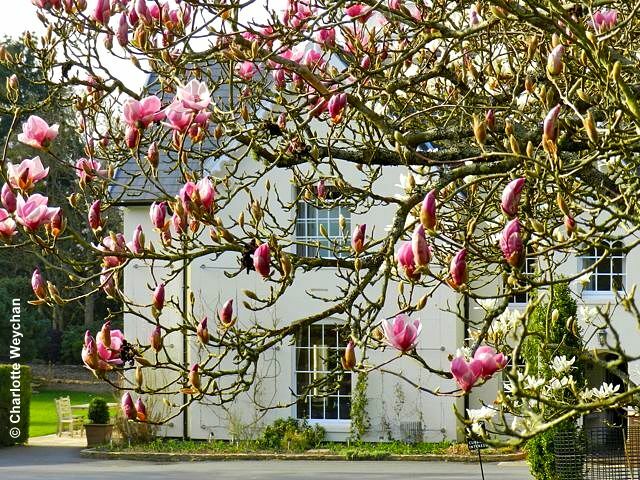 Plan your visits carefully and you'll be treated to great drifts of daffodils around the country, plus remnants of the snowdrop crop, hellebores and the first magnolias blooming. And, if you're really quick, you'll be able to catch the amazing snowdrops at Welford Park or the orchid exhibition at Kew Gardens, but hurry, because both shows are over on 4th March. 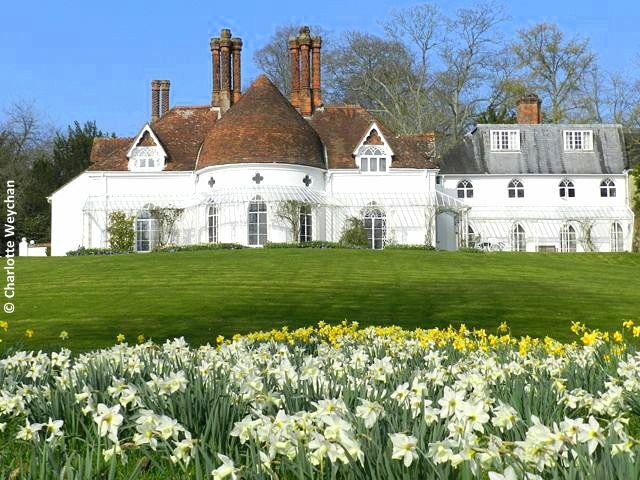 Houghton Lodge in Hampshire (top) has a enviable hillside position with views over the River Test and is a great garden to wander around in the early spring sunshine. (Open daily from 1 March, 10.00-17.00). 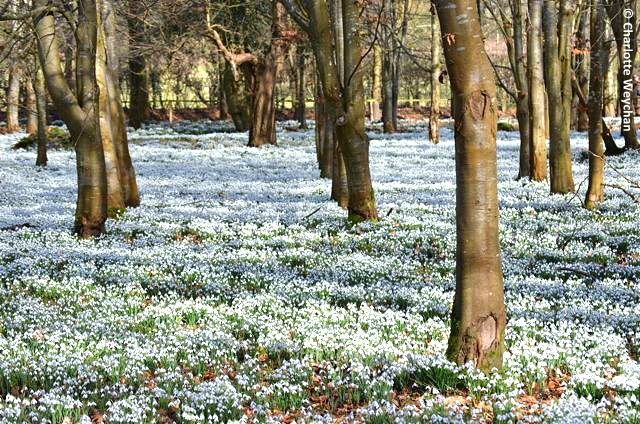 It's just a stone's throw from Heale House Garden, with its wonderful early spring bulb displays, and you might be lucky enough to catch a few lingering snowdrops there too. (Open Wednesday - Sunday, 10.00-17.00). 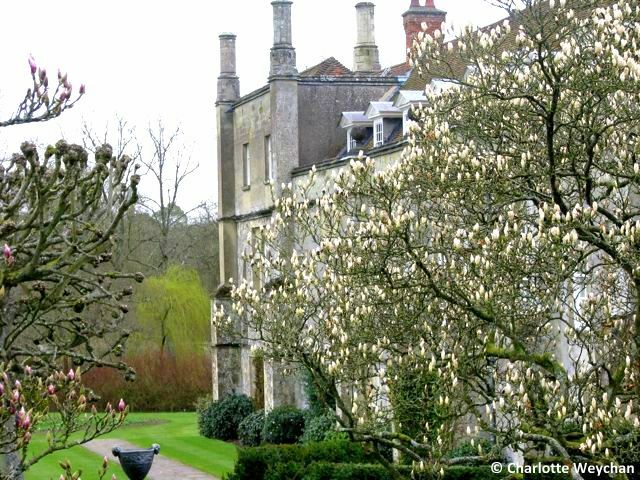 If you're looking for another early spring garden, head for Mottisfont Abbey with its magnolia blooms. Although it's most famous for its roses, there's plenty to see here early in the season and it's a good place to blow away the winter cobwebs, as you wander through the grounds. (Open daily, 10.00-17.00, National Trust). Close enough to the Sir Harold Hillier Gardens in Romsey, to combine the two in a day if you're in search of early spring colour. (Open daily, 10.00-17.00, Members get free entry to Kew Gardens). 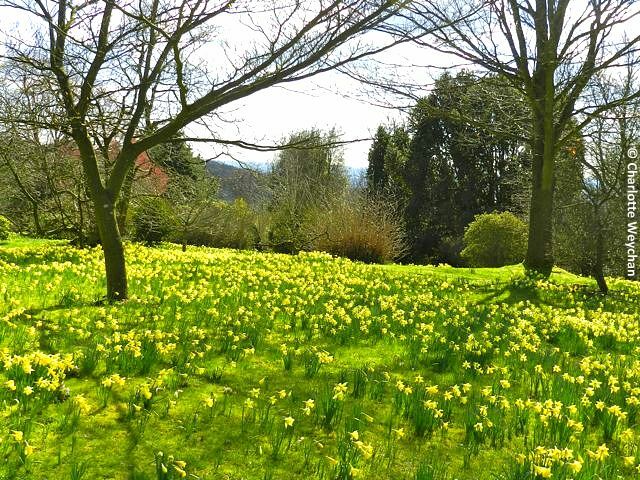 Emmetts Garden (below) is really spectacular in March, with lovely views over the Weald and some of the best spring bulb displays in the country. Open daily from 10.00-17.00 and easy to combine with Sir Winston Churchill's one-time home at Chartwell, which is just around the corner (same opening hours - both operated by National Trust and free to members). 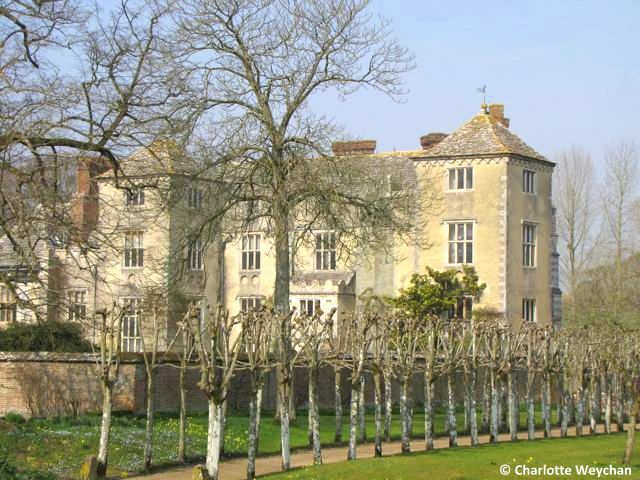 Cranborne Manor (below) opens its doors in March for the season - another charming spring garden, but visitors need to remember that it only opens one day a week - on Wednesdays (09.00-17.00). But well worth paying a visit to and there are many other lovely gardens nearby including Heale House and Mottisfont (above). They all look so spectacular Charlotte! Yes, I think that Magnolia display would blow away the winter cobwebs for me! Stunning! We are still getting snow here--no Magnolia blooms for several weeks yet. But believe it or not, there are signs of spring! Cheers! They are all spectacular, but i love most the grounds with snowdrops!